Perfect for a shaded alpine or rock garden, could even be used as a groundcover. 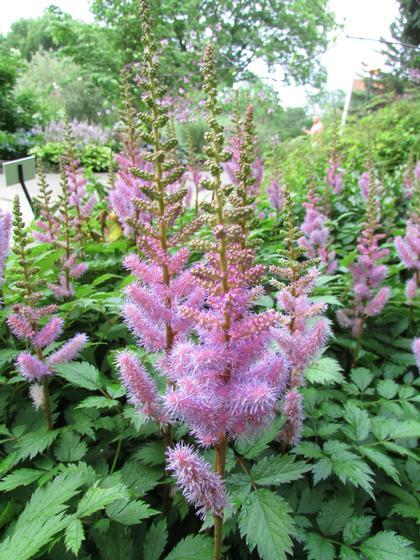 These Chinese astilbes have a greater tolerance for drier conditions. Light pink plumes appear late summer.